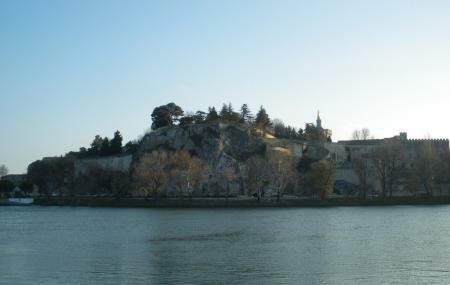 Located in the foot of Rhone, Rocher des Doms directly faces Villeneuve-lez-Avignon. The garden was laid out in 1830 and was huge enough to hide a reservoir which once supplied water to the city. It is known to be the cradle of Avignon and the most delightful thing is the panoramic view that the visitors wouldn’t want to miss out on. Ideal for picnics and family day-outs, there is a tourist train that takes visitors to the top of the mountain. Adventure lovers can also hike up to the top! How popular is Rocher Des Doms? People normally club together Pope's Palace and Avignon Cathedral while planning their visit to Rocher Des Doms. I love this park. The stairs next to the Pope Palace are very interesting. From the park is excellent view to the Avignon Bridge. Gorgeous view, and really nice gardens to relax in. You can also see the Palais des Papes from another POV from there. I would definitely recommend going up to see a nice view of Avignon. It's a great place for a picnic, with grass and lots of benches. It also has a nice cafe on the water, which unfortunately doesn't have views of the city. The pond in the park seems quite diseased as there were some dead fish floating up what the surface. When we went in the evening, there was a park security guard. Rocher des Doms does get a great view of the Rhône river and Pont Saint-Bénezet.